What do Scientologists, consultants and rehab have in common? 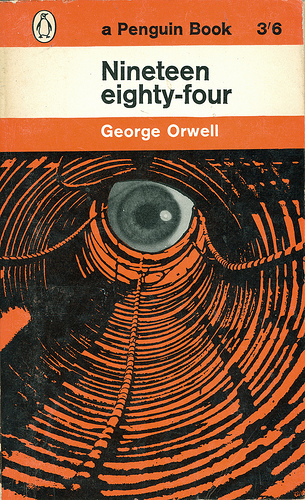 1) One of the major themes of George Orwell’s Nineteen Eighty-Four is the political manipulation of language. As words are removed from the language, people are no longer able to communicate certain concepts. As time goes by, those concepts are removed from the sum of human knowledge. 2) As a postgraduate student with time to kill, I filled out a Scientology questionnaire and got the hard sell on Dianetics. I was encouraged to read L Ron Hubbard’s book on the subject, which begins by explaining that you can’t learn if you skip over words you don’t understand, and then promptly introduces a great many new words. The definitions of these words depend both upon each other and upon some assertions that deserve to be questioned. After about ten pages, you can’t separate what you always knew from what you just read, and skepticism is completely overpowered by confusion. Messing with the language is a way of tricking your mind into accepting as fact something that you can’t, won’t, or shouldn’t think through. 12-step programs, diets, sports teams, the armed forces and almost all religious and social cults develop their own vocabularies. It’s not necessarily a negative thing – some people need their minds reprogrammed – but we ought to be aware of it for what it is. That’s why I’m wary of anybody that feels they have a concept so original that it cannot be communicated with any of the million or so words already in the English language. When we use “analytics” do we means statistics or analysis? Those are two different things. You might want to ask if they’re being confused because the person talking doesn’t understand the difference, because they don’t want you to think about it, or because they don’t care. When we use “leverage” as a verb and not as a noun, we don’t just make a mockery of Newtonian physics. We also imply a cause-and-effect relationship where one doesn’t necessarily exist. When we use “paradigm” as if it meant “situation” we don’t just commit a careless act of violence on a beautiful (and amazingly resilient) language. We also suggest that conventional wisdom does not apply here and can’t be used to challenge our ideas. When we add “unexpect” to the vocabulary, we casually sidestep the question of exactly who ought to be surprising whom. When we casually drop the term “alt classical” we confuse a type of music with the way in which it is presented, treating a performance of Bach in nightclub as if it were somehow the same thing as a DJ spinning at a concert hall, when the two are opposites in several important regards. I don’t dislike buzzwords because they’re ugly gimmicks that come in and out of fashion like bad haircuts. I dislike them because they hide woolly logic the way that dark corners hide cockroaches. I think it cuts both ways this messing with the language. I love Greek because it’s so logical and has remained basically the same for a kazzillion years because of its logical structure. I also love Greek because of the “argo” (slang) which then becomes coined, morphs to entrenched. Barbarians, for example, began its meaning as ‘those not Greek’ (or of some tribe from that part of the world that spoke Greek). But even today, on the streets in Athens, you’ll hear a couple of peeps talking and you’ll over hear something like “Kai aftos lei var var var …. opos ksaries…..” (“And this guy says ‘var var var’ …….you know how….”). And it’s that Var var var that got coined in Greek as Varvaros a couple thousand years ago when they played with their language (as they still play), and then inculcated as Barbarian. I totally agree with you that we as an American culture don’t consider the language we use or hear critically enough. We are a nation of sheep. But I also think the ability to play with language keeps it alive. Keeps us alive and thinking and playing. Evolve or die (Zeta’s motto not mine – but I love it). I have a bad habit of verbing nouns. I love playing with language. I Kerouac it. I like verbing nouns too. It works when you do it knowingly, when there’s a use for it. Like adding bowed vibraphone to the orchestra, you use it when you want that sound, to say something you can’t say any other way. To use it because you don’t understand how to write harmonics for the strings is just lazy. That’s what pisses me off. Wait. Barbarians aren’t from Barbaria? This, right here, is why I write this blog. Whoah! I’m very inspired by this post. We need to have lunch more often! I eat lunch at least once a day. You want to come down here? This just shows that you’re still thinking in old paradigms that keep you from unleashing your innate creativity and visualizing positive change for success. It’s about thinking outside of the box to turn challenges into opportunities and creating cutting-edge approaches and win-win situations. Only by optimizing your inner potential can true self-actualization take place, facilitating turning innovative visions into reality. Does that resonate? Yep, love those management seminars, especially getting all those “tools” that don’t add an ounce to your checked-in luggage on the trip home. 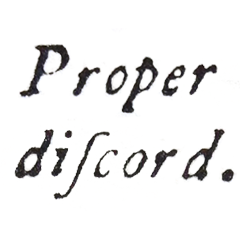 Wordily, dordily. If you can make up enough fancy new wordilicious illogicalisms, the trendy folks get easily fooled into concluding you’re really cutting-edge educated, or used to work for Perspectives of New Music or Critical Inquiry. (But never both of course.) I have sat through management seminars enough to be sympathetic to your plight. But long before becoming the happily old crusty type I am today, I put myself through a masters program by working nights as a custodian for the local school system. Going into a darkened classroom after the kiddies had crumbed their way through a day, there were cockroaches having their own management seminars and lunch room specials. Only a few monents of plain old boring light made them vanish like “your tax dollars at work.” If cockroaches react that way, perhaps we ought to apply just a wee bit more “light” to problems, debates and such? It might assure of more trendy buzz word cockroaches fleeing the scene. Nothing like plain speaking to make some folks irritable.